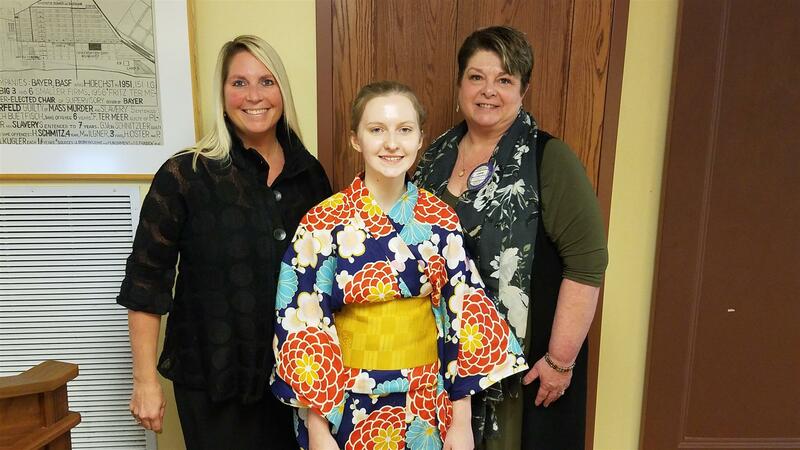 After self-teaching herself Japanese, JHS student Brooke Almquist was well on her way towards her dream of visiting Japan. A dream that was fulfilled through the Rotary Youth Exchange program, to which Brooke was extremely grateful for. Brooke spoke to our club this day, after being introduced by Youth Exchange leader Cheri Krull. Going through a series of amazing pictures, Brooke led everyone on a journey through her time in Japan. One of them showed Kanazawa Castle, a large, partially-restored castle in Ishikawa Prefecture, Japan. Brooke said that Kanazawa was a very quirky city. One of those quirks was having very narrow streets, which led to an adventure as she traveled with her host mom. Kanazawa also produces 99% of Japan's high-quality gold leaf. One of the pictures Brooke showed was of ice cream actually covered in gold leaf that she and a friend bought. Amazing! Some other things Brooke mentioned was that the Japanese people don't like to grow-up fast like Americans do. They embrace their childhood more. Case in point was that her bedroom was decorated with colorful cartoon characters which she showed a picture of. Brooke was able to visit many wonderful locations during her time in Japan. She also attended school, which began with her having to speak in front of her classmates on her very first day. While some aspects of school in Japan were more stringent than in the U.S., Brooke did say some things at JHS were more stringent than in Japan. She also visited several other Rotary clubs in her area in Japan, but said that they were mainly made up of businessmen that wore fancy suits. 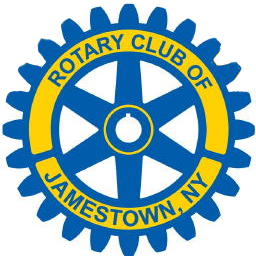 In conclusion, Brooke thanked us and Rotary for the opportunity to go to Japan. Cheri also noted that she was very proud of Brooke for going as Brooke was very shy when she first met her, and that she took a big step going out into such a busy part of the world.